GM's previous ground-breaking expansion project in October 2011. 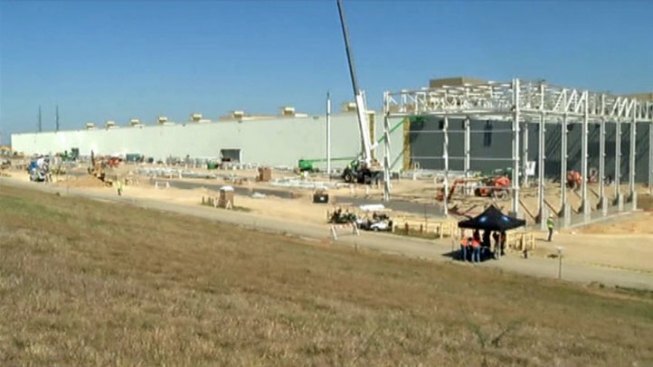 General Motors is looking to add more jobs and another facility to their Arlington location. Tuesday evening, the city council will talk about tax incentives for the new facility which will serve as a site to build trunk lids and hoods. This would be the second expansion that GM has undergone in the past few months. In October, they broke ground on a $300 million facility for the building of sport utility vehicles. The city was hoping that the new employees hired would become residents of Arlington and pay taxes in the city. The new facility is estimated to cost $200 million and would add 180 jobs.